There are not many jobs out there that are as cool as being a pilot (besides being a copywriter!). They get to basically go against the laws of physics (So, there may be a few of those laws helping out, but still!) and fly a huge hunk of metal through the sky. Now, when trying to figure out to be for this coming Halloween, why not dress up as one of these magicians of the sky? You may think that without a plane on hand, this costume may be difficult to pull off. Well, you aren't wrong there, but we have a quick and affordable solution that will help with this problem. Just pick up one of the Pilot Wings Emblem Badges we have here! 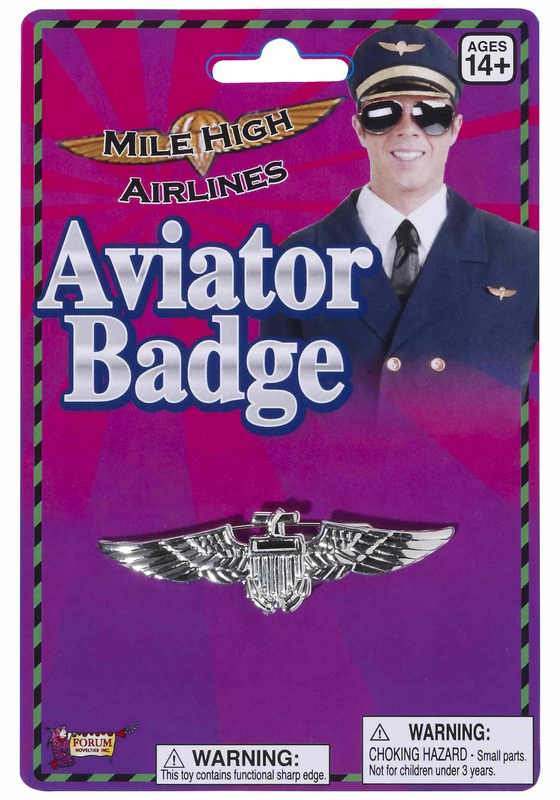 Just about any schmuck can get their hands on a plane but only certified pilots can pin this badge on their lapel, and now you can too. So, if you plan on being a believable pilot make sure you don't forget your wings!